In order to keep pace with never ending demands of the customers, our company is instrumental in offering Copper Fuse Wire. As a quality focused firm, we are engaged in offering a high quality range of Fuse Wires. 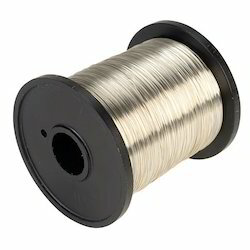 We have emerged ourselves as leading names to offer of Tinned Copper Fuse Wire. Best material is used for the manufacturing of this Fuse Wire. This wire is damage resistant and easy to use for longer years. 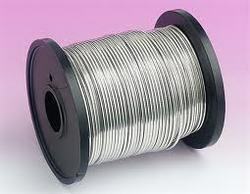 We have reached the pinnacle of success and earned a reputed name by providing high quality range of Fuse Wire. Being a noteworthy enterprise of this industry, we are offering a wide spectrum of Fuse Wire. We are considered as one of the leading manufacturers and suppliers of high quality Tinned Copper Fuse Wire.. Manufactured from the best quality Raw materials, these T c fuse wire are highly endurable and long lasting in nature. These T C fuse wire are used in a number of applications in different applications. We are indulged in offering Tinned Copper Wire to our clients. Our Tinned Copper fuse Wire is made by a hot dip method. In this method Bare Copper wires are passed through melting tin. Our wire is ok in ISI per sulphate test, it is oxygen resistant, Non striping and have great soldering properties.